For the second time this year UMass will head west to take on one of the traditional WCHA powers. But like Minnesota earlier, Wisconsin is not quite living up to their own standards. Actually, the comparison between the Badgers and Gophers is valid as the two teams head into the new year in very similar situations. They’re both tied for 6th place in the WCHA with identical 6-6-2 records. They have similar overall records with the Badgers checking in at 10-7-3 while the Gophers are 9-7-2. And they’re both ranked with Wisconsin at #15 and Minnesota at #19. Now UMass put together a good showing against the Gophers to start the season, though they couldn’t gain a W in the Twin Cities. This trip to Madison should be an interesting look to see how much, if at all, this team has come in that time. It seems like they were playing good hockey until entering winter break with a dismal effort in Orono. But if they can recapture what they showed in the Midwest earlier and combine it with the experience they’ve gained since, perhaps they can close out the year with their first win against a quality opponent. It won’t be easy. Yeah Wisconsin probably isn’t have the type of year their fans are used to, but they’re still pretty damn good. They’re 7-4-1 at home. And they of course have some of the best players in the nation. But I’ll make the bold prediction and say UMass can only win if they stay out of th ebox Because frankly if they put Wisconsin on the power play, they’re dead. Dead. Why? Wisconsin boasts the second best power play in the country at 29.1%. Not only are they converting at a high rate, but their 103 power play chances are one of the highest totals nationally as well. UMass of course has the 4th worst penalty kill in college hockey. Easy to see that you can limit Wisconsin’s chances to score by not taking penalties. Like the Minutemen, Wisconsin lost a lot of underclassmen to the pros over the summer. Like the Minutemen they’ve had to turn to sophomores and freshmen for scoring. Amazingly, their leader in goals and points is actually a sophomore defenseman, Justin Schultz. Wisconsin’s preview presented something I wasn’t even aware of with the UMass squad. This week’s games feature the top 2 teams in terms of offensive output from defensemen. Wisconsin leads the country with 2.95 points from blueliners per game while UMass has gotten 2.79. Jordy Murray and and Craig Smith are two forwards that UMass will need to be wary of on offense. On defense, Wisconsin’s loss is the nation’s gain. Defenseman John Ramage will not be in Madison for the series as he’s busy captaining Team USA at the World Juniors. The cupboard isn’t exactly bare on defense however and guys like Schultz, Jake Gardiner, and Craig Johnson will do their best to keep the Minutemen off the board. In fact Wisconsin has been stellar defensively this season, allowing just 2.10 goals per game, good for 3rd in the country. That’s what happens when you have good senior leadership in net and Wisconsin can boast two of them. Scott Gudmanson has played 2/3rds of the games and put up top ten stats with a goals against of 1.94 and save percentage .930. Familiar to the Minutemen and their fans is the other goaltender, former BU backstop Brett Bennett. Bennett has a GAA of 2.35 and save percentage of .913. UMass went 2-1-0 against Bennett in 07-08 scoring 4 goals against him in the two wins while Bennett got a shutout in UMass’ loss. For UMass I’m just hoping that the time off hasn’t allowed them to forget the Maine game. Coming off a nice little stretch where they played some pretty good hockey they went up to Orono and were snapped back to the reality of what happens when you don’t play a full game. Wisconsin may not be in the national championship hunt. Wisconsin may be without Ramage. But I’m pretty sure if UMass heads out there and just skates around for 20 of the 60 minutes they’ll find themselves in a hole that will be tough to get out of. Especially considering the stellar defense and goaltending the Badgers have had all season. They don’t seem like the type to let a team back in during the 3rd period. In fact they’ve outscored their opponents by nine in the final stanza. I think UMass needs to do three things to be able to win. We covered the first, do not take any penalties. Or if you do, make sure they take a Wisconsin player with them. On second thought better off just not taking any at all. Secondly, protect the puck. Besides the penalty kill the one area where I’d like to see UMass progress more at this point is needless turnovers. Sometimes they get fancy with the passing, sometimes it’s just carelessness. But when they are moving the puck crisply and smartly they’ve been able to skate circles around opposing teams. Lastly I’d really love to see the coaching staff open up the forecheck. Some of the best scoring chances of the season have come off of open ice turnovers. Led by T.J. Syner this team has some of the best forecheckers I’ve seen. Period. I think that’s an advantage that absolutely needs to be leveraged. Overall this is a good opportunity for UMass. They started out the season out west as a collection of talented, but inexperienced hockey players. They head that direction again as a team this time, one that has seen adversity and have begun to build the trust that’s needed to be successful. Successful enough to win in the Kohl Center? We’ll see. 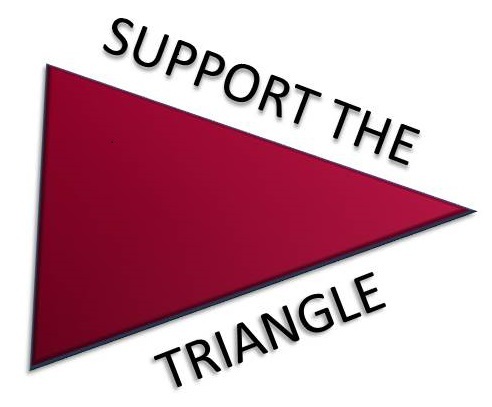 Since I probably won’t have the opportunity to post while I’m in Madison, make sure to follow the Fear The Triangle Twitter page to follow what’s going on out there. After consultation with a friend who inhabits the Land of Cheese as well as the bible of Beer Advocate it appears that the Great Dane Pub and Ale Asylum are the places to go in town. Drink Miller or PBR? I don’t think so. The Wisconsin blog Sixty Minutes No Alibis No Regrets previews the series. This paper out of the Soo has an article on Zack LaRue’s commitment to UMass. It says he is a good skater and has a “wicked right-hand shot”. Looks like we can expect him in Amherst next fall. I know some FTT commenters have talked about Longmeadow hockey star Tyler Kelleher and hoped that Coach Cahoon was pursuing him. I haven’t heard if that was the case or not, but Kelleher, who is now playing at Deerfield, committed to UNH. Western Mass doesn’t produce a ton of top level DI talent so it hurts to see guys like Kelleher, Barry Almeida, and Rob Bellamy go elsewhere in Hockey East. But at the very least UMass has been able to keep guys like T.J. Syner and Kevin Czepiel close to home. Justin Braun was sent down by the San Jose Sharks. One goal and 8 assists in 14 games is a hell of a start to an NHL career. I think he’ll be heading west from Worcester again this season.